I had the good fortune recently of draping someone who turned out to be a Winter. The clue was right at the start of the draping when I held up the silver metallic drape under her chin and her skin cleared instantly. It was stunning and dramatic. The white cape I put on her right at the start didn’t make her look ill. I’d met her on numerous occasions previously and she’d often be dressed in black. I had noticed that it didn’t drain her like it did me (a Deep Summer). I also noticed that her surroundings were decorated in Winter colours and the majority of the nail varnishes she owned were in Winter colours. I had also noticed on previous occasions her very cool skin and the contrast between her skin and hair. Despite all this I endeavoured not to jump to conclusions. It was no surprise when my client turned out to be a Dark Winter. The deeper, darkest cool colours looked best on her. That’s not to say the other colours within the Winter palette won’t prove to be useful, but the real wow moment came when deep fuschia, plum, ink, burgundy, deep red and dark emerald green were under her chin. Striking colours for a striking woman with a quiet steely confidence and cheekbones to die for. Dark Winter. Cool, deep, dark and deliciously dramatic in its own understated way. I feel strongly that we sense what colours are in us, even if we can’t see them without a personal colour analysis. This client was no exception. After my own PCA I went home to discover my entire bedroom was decorated in compliant colours right down to my bedlinen (even though the contents of my wardrobe wasn’t so). A friend of mine who has yet to be analysed said to me, “I’m scared you’ll tell me I can’t wear [fuchsia] pink.” I’m pretty confident, given her love of that colour, that it’ll be one of her best (or something very very similar to it. A recent Autumn I draped loves burgundy. Rust, which is very similar, was one of her very best colours). Most people don’t know what colours make them look their very best, but they tend to know what makes them look really bad. Sometimes they think they know what colours they can’t wear. I say “think” because I didn’t think I could wear pink until I was shown the right shade. I find that when we’re going through all the drapes of a particular season (once we’ve established what season is the right one) for some it feels as though we are splitting hairs. For others there is a much more profound difference and that was evident here. The brighter colours in the Winter palette were rather demanding, in fact surprisingly so, which made me doubt my diagnosis for a moment until I saw how the Summer drapes made her look as though she had a layer of dust on her face. If you believe that personality and our own colouring are linked, then the Dark Winter is considered to be tenacious, honest and authoritative. A Dark Winter will favour logic and purpose. Industrious is another word you could use to describe them. I see similarities between my own best colours (I’m a Summer who suits the deepest colours in the palette) and the Dark Winter palette. Depth and coolness in colour is important here, and there are overlaps. I was wearing a deep teal velvet coat that day and the colour did not go unnoticed by my client. I’m confident the coat would have looked fabulous on her too. 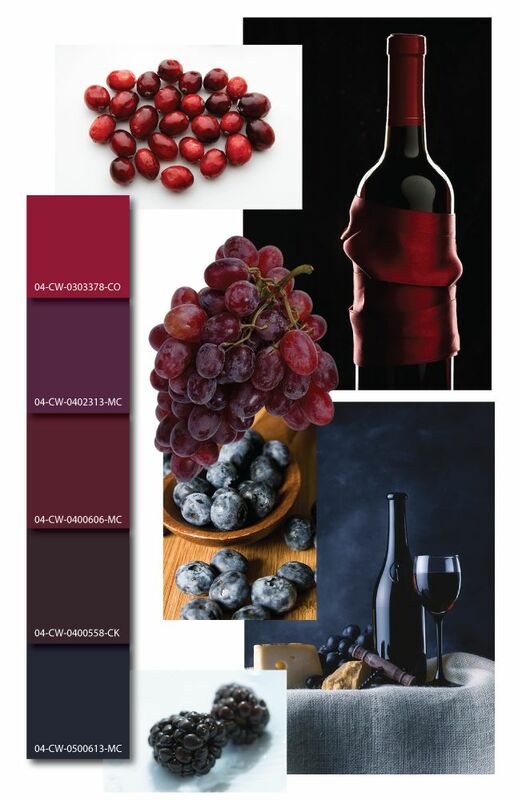 Velvet is very good at increasing colour intensity which is important for a Dark Winter. Winter is a high contrast season. Combining colours similar in value (e.g. monochromatic, not to be confused with monochrome) won’t give the same impact as colours that are vastly different. Winter’s icy pastels (as opposed to Summer’s softer pastels that remind me of a watercolour painting) combined with the almost-but-not-quite black of eggplant, spruce or dark garnet will look most stunning and create the visual impact Winter needs. High shine metals are perfect for Winter (reminiscent of the sharp gleam of ice). Rhodium mirror-shine plating (that is often used to give white gold its shine) was made for Winter. The overall impression, when dressing, should be crisp, clean and sharp. Winter is not just cool (like Summer’s refreshing glade) but bitter, icy cold. Snow so white it looks blue. Even holly isn’t soft but sharp and the berries are shiny. Defined edges only serve to enhance the look when the colours are compliant. The look should be timeless, elegant, of a quiet luxury. Jeans, if worn should be blue/black, not stonewashed denim. A ‘Bright Winter’ is typically higher contrast to look at than other Winters. I love this image, I couldn’t resist adding it here, at the end. It’s just Winter perfection. Possibly Bright Winter given the high level of contrast present between skin/eyes and skin/hair but could easily be Dark Winter too. Certainly the burgundy scarf is Dark Winter’s. Stunning. Autumn looks best in antiqued, warm earthy metals. Texture is important too. Brushed gold will look better than a light, bright yellow shiny gold (which will look better on a Spring). Rose gold is beautiful too, and Morganite makes a stunning peachy alternative to a traditional diamond if you happen to be looking for an engagement ring. It is considerably cheaper too. This coin necklace from Stella & Dot is also perfect. Note the satin finish and antique feel. Peridot is a wonderful gemstone for Autumns. Brass, especially if it is antiqued, is fabulous. Interestingly, Summers can also get away with antiqued brass as it isn’t as yellow as some of the warmer metals. Copper is nothing short of perfection. No other season can handle such gorgeous rich warmth. The texture is stunning on this necklace too. Copper Fringe Necklace, around £32 from Etsy. Platinum and mirror shine rhodium-plating were made for Winters. Your typical platinum or white gold engagement ring (rhodium-plated of course) with a big sparkly diamond will look completely at home on the hand of a Winter. Some Winters who lean warm might be able to handle gold but this is risky. Silver-coloured metals will always look wonderful, the shinier the better. With regards to gemstones, Winters truly are spoilt for choice. 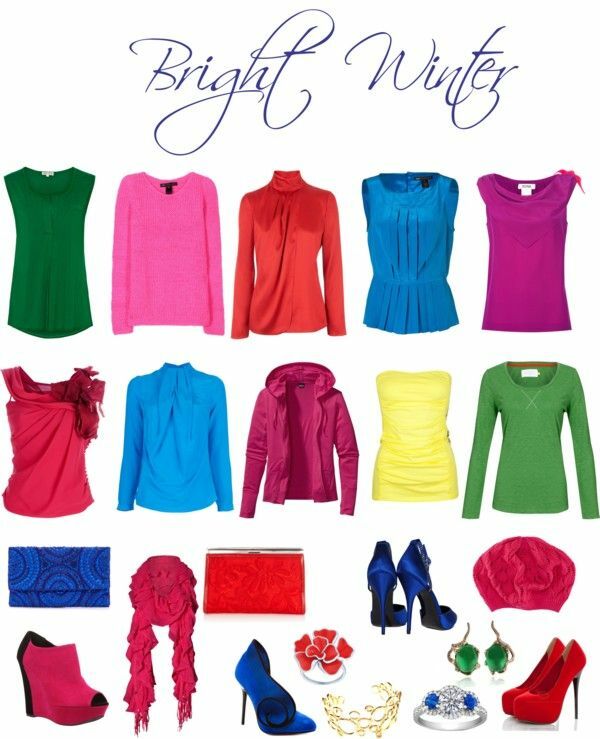 Most are cool and bright, such as tanzanite, emerald, ruby, sapphire and amethyst. AAA tanzanite, which has the distinctive dark blue hue, is quite expensive so you might be better off going for a synthetic version. The lighter, more common lilac version is still pretty though, and reminiscent of your icy pastels. Spring looks best in bright, shiny, gold-coloured metal. Think of pure sunshine. Brushed gold shouldn’t be ruled out, but it needs to be sunshine yellow, not antique or copper. Springs that look better in the cooler colours of their palette can also wear silver but keep it shiny and in no way tarnished. Rose gold can look very pretty on a Spring. Again, keep the shine. Mixed metals can be really magical too. Turquoise stones and sparkle are fabulous. Go for transparent rather than opaque stones if possible (I’m being rather fussy here, but we are going for the maximum wow factor). Avoid anything too muted or bronzed and especially avoid the antiqued look. Copper and antique bronze will likely be too muted and deep. For the price I suspect this lovely necklace wouldn’t last very long, but it is a great example of a Spring necklace. Bright yellow gold, high shine, and the necklace has some movement too. Summer glows in matte, silver-coloured metal. This brushed silver necklace on Not On The High Street is a brilliant example of brushed silver making the skin glow. I suspect she’s a Summer with those ash brown eyebrows and platinum blonde hair (albeit from a bottle). It’s a shame her make-up is so distracting. The black eye liner and warm red lippy aren’t right for her. The necklace and her skin, however, remind me of moonlit milk. Perfection. This feather necklace is pretty and smaller-scale. Brushed silver again. The soft flowing lines are very befitting. The texture of these rings is beautiful, as is the pattern in the stones and the satin finish. Labradorite is a beautiful and unusual choice, spot-on for a Summer. Moonstone is another beautiful and unusual gemstone. It’s misty and gentle in its appearance and has a wonderful shimmer when the light hits it. This antique-effect silver filigree moon necklace is very pretty too. Summers can usually get away with rose gold if they so wish, and a very pale light yellow gold as long as it isn’t very yellow at all. Shiny silver is fine, but a more matte, satin finish will always have the edge. Perhaps rather surprisingly, Summers can wear antiqued bronze particularly if found on a compliant coat in the form of buttons. The bronze isn’t too warm and is muted, making it an interesting alternative to silver and it looks great with brown leather.